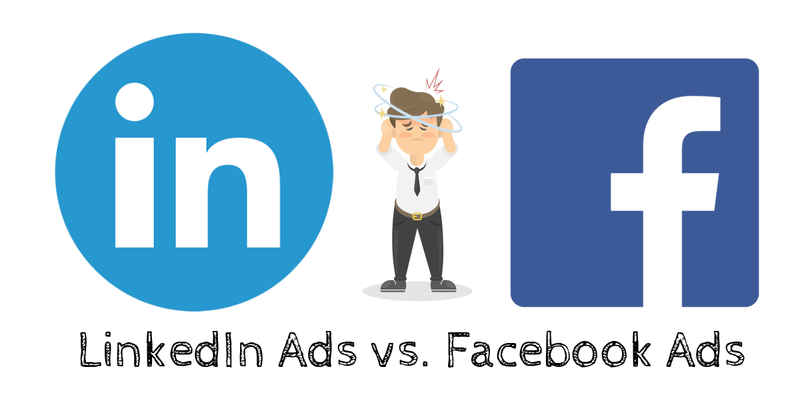 Home » LinkedIn Ads vs. Facebook Ads: How do they compare, and which one is right for you? We will tell you why 2019 is expected to be huge for LinkedIn marketing whilst many companies turn away from Facebook Ads. 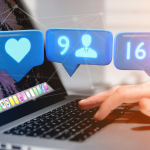 It is not because one is better than the other, but brands now understand which platform is best suited to target the right audience for them. Facebook is currently losing a lot of business to other social media platforms, especially LinkedIn who have seen a 212 percent growth in the money spent on ads with them. It seems 2019 is their year, but how can you decide where your money is best spent? How do LinkedIn and Facebook compare when it comes to Ads? LinkedIn Ads are the preferred choice for B2B marketers, 71 percent of them currently use it as part of their strategy, which is only going to increase, according to the before mentioned statistics. As every marketer knows, rule number one of marketing is to know who your customers are. Next, you need to figure out how to reach them. Age, gender and location are the basic demographics that you will get from LinkedIn and Facebook alike. However, LinkedIn can also tell you about their users’ education, skillset, profession, and the industry they work in. That is powerful extra data you won’t find on other platforms. LinkedIn has become essential to any brand wanting to increase brand awareness, network with the right people, and achieve growth. Being a platform that has been created purely for professional use, LinkedIn is seen to provide reliable content. Its content’s nature is neutral, sober, professional – a lot of users access LinkedIn daily for making business decisions. When it comes to advertising, it is popular with B2B companies who will most benefit from investing their money here. It allows them to target a specific industry and the kind of companies they need to reach. LinkedIn has a range of options for how you want to advertise on it and its professional brand image means that adverts appear generally more trustworthy. They look a lot like natural content – which results in more engagement than on other platforms. Similar ads on Facebook feel more like spam, because of the different environment in which they are presented. One big drawback of LinkedIn Ads, however, is the cost. They are quite pricey compared to Facebook – who also have a lot more active users – 2.2 billion users in fact, compared to LinkedIn’s 550+ million. Despite those numbers, LinkedIn Ads still achieve a higher return on your investment – possibly because it is the right platform for B2B marketing and mainly used in that way. The adverts on there have always been more targeted and a good fit for the audience, purely due to the nature of what LinkedIn is all about. The purpose of LinkedIn is to be a network of work and business users, which makes it, in turn, a weak contender for B2C marketing. It is very unlikely to reach the end customer, Joe Bloggs if you will, by advertising on a business platform. Facebook is much better placed for B2C marketing. If your company’s target audience is end customers, then promoting your goods on Facebook will create more engagement than on LinkedIn. If there ever was a time when you are weak and willing to buy, say – that jumper that allows you to carry your cat around or some obscure gadget that you never knew you wanted, or a really ‘fashionable’ green/purple coat, you most likely do that in a weak moment at home, after a couple of glasses of wine and you are scrolling through Facebook, dressed in your pajamas, in front of the TV. The odds will fall drastically when you are dressed in your smart work clothes in the office, looking for companies that might be able to help you with your current project or looking for a new job opportunity. It would, therefore, be unfair to say that companies are leaving Facebook Ads because LinkedIn or other platforms are better. It’s more likely that marketers now have more choice, know their customers better, and advertise on the platforms that are the most suitable for their business.